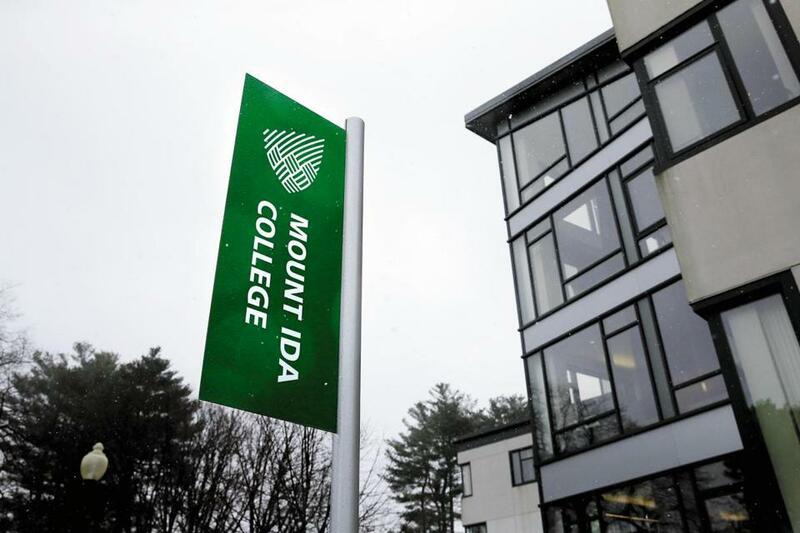 Mount Ida College closed suddenly in 2018 because of financial pressures. State officials on Tuesday signed off on a plan to create a new state monitoring system for the financial health of private colleges in Massachusetts. The plan comes after the calamitous closure of Mount Ida College last spring. The school’s failure to notify state officials or make a contingency plan for how students would finish their degrees ignited fury among state officials, who vowed to implement more oversight. “We both want to see higher education in Massachusetts be fully trustworthy and credible,” said Chris Gabrieli, chairman of the state Board of Higher Education and a key crafter of the new system. 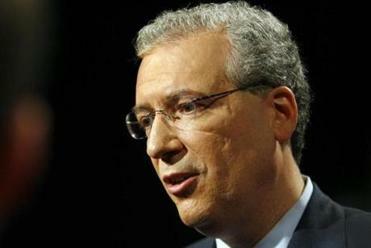 The plan comes as the higher education economy, especially in New England, is in turmoil. Several small colleges in Massachusetts have closed and others have merged or are considering mergers. More closures and mergers are expected as the college-age population shrinks and families are increasingly unable to afford expensive tuition. The new plan adopted on Tuesday will allow state education officials to use publicly available data to estimate the financial well-being of private colleges. The officials will contact the schools they deem unstable and, if the situation is particularly bad, the schools will be required to create a closure contingency plan and notify students. Could Mount Ida College have stayed open? Schools that choose not to comply with this new system will risk losing their portion of the $40 million the state awards each year in financial aid to students who attend private colleges here. The plan, however, is controversial. A lobbying group that represents private colleges worried it will unnecessarily harm schools that are actually in the process of becoming more healthy. Some schools that were in trouble 10 years ago have turned things around, said the group’s president, Richard Doherty. The Mount Ida situation happened because that school did not follow the current rules, he said, and more rules won’t necessarily fix that. “There is no question that the system broke down because of noncompliance, as related to Mount Ida, and that is too bad,” said Doherty. Mount Ida announced its closure last April, two months before graduation. It had very little planning for how students would complete their degrees and had also admitted a new freshman class that had already paid deposits. Professors found themselves out of a job after the academic hiring cycle had largely closed for the year, leaving many without work in the fall. Since Mount Ida’s closure last spring, several other colleges in New England have also shut their doors or announced financial difficulties. Newbury College in Brookline has announced it will close at the end of this academic year. Hampshire College in Amherst has said it would like to merge with another institution and is not sure it will admit a freshman class this fall. In Vermont, the College of St. Joseph is also likely to close after this semester, and Goddard College is on a two-year academic probation by accreditors, who are worried about its finances. The state board signed off on the new oversight plan Tuesday morning at its meeting in Framingham, directing the state Department of Higher Education, which the board oversees, to implement the plan next fall. State officials will review revenue and expense data about schools, which is collected and provided publicly by the federal government. The analysis would also take into account other revenue streams, like fund-raising, that might disappear, Gabrieli said. But because that data is often two years behind, officials will then verify that data with school officials confidentially. They will look to see whether they believe a school has adequate resources to sustain operations for the next 18 months. If not, a school would be required to formulate what is known as a “teach-out plan,” a document that specifies arrangements with other institutions that have agreed to accept their students, should the school close. It would also be required to notify students of its financial peril. State Higher Education commissioner Carlos Santiago, whose department will be in charge of executing this system, called the proposal “reasonable” and said it will make the state more proactive. “If anything, the Mount Ida situation showed how students can be harmed if we do nothing,” he said. There is also a regional accrediting agency that evaluates colleges and has become more aggressive in its monitoring since the Mount Ida closure. Gabrieli said that group is ultimately beholden to the schools, whereas the state looks out for the public. At the meeting on Tuesday, one board member suggested going a step further. Paul Toner suggested that the department do more to help parents and students as they evaluate which colleges to apply to. In an interview later that day with the Globe, he suggested developing a sort of checklist of questions parents could ask schools to try to decipher how financially sound they are. That could include things like the size of their endowment, their rate of tuition dependency, or their graduation rate. “Things to kick the tires,” he said.